ENERGY Minister Dora Siliya’s fate was yesterday undecided in the Lusaka Magistrate’s Court after the presiding magistrate delayed a ruling on whether she has a case to answer in a matter in which she is alleged to have abused her authority of office by directing the cancellation of a duly awarded tender of a radar system. 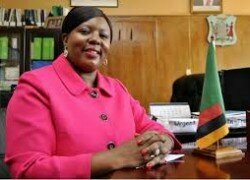 This was when she served as Minister of Transport and Communications in President Rupiah Banda’s administration. Deputy Director of Ndola High Court, Joshua Banda, sitting as magistrate in Lusaka, reserved ruling to May 17. This was after the State closed its case with the last witness on the stand who was the investigations and arresting officer. Siliya is also alleged to have accepted a free offer from Salex System Intergrati S.P.A for the repair of a radar head at the Kenneth Kaunda International Airport without following laid down procedure.